From our birthday on, we have all had a nurse helping us when we needed them most. Today is Certified Nurses Day. Stamford North is ranked number 64 of all towns in Connecticut based on the percentage of workers in the health diagnosing and treating practitioners according to the American Community Survey. Stamford North has 799 males (29.9) and 1869 females (70.1) for a total of 2668 in the health diagnosing and treating category. In Connecticut, there is a total of 3,079 male nurses and 28,928 female nurses. This day is to honor nurses worldwide who contribute to better patient outcomes after attaining national board certification. A registered nurse (RN) license allows nurses to practice. 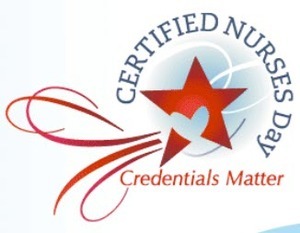 Certification affirms advanced knowledge, skill, and practice to meet the challenges of modern nursing according to the American Nurses Credentialing Center (ANCC). Every March 19, employers, certification boards, education facilities, and healthcare providers celebrate and publicly acknowledge nurses who care enough to earn and maintain the highest credentials in their specialty. “Inspired by Dr. Margretta 'Gretta' Madden Styles, RN, EdD, FAAN, a pioneer in nursing certification, Certified Nurses Day is the perfect opportunity to invite all nurses to advance their career by choosing certification.” according to ANCC. Tell a Nurse how much they are appreciated!